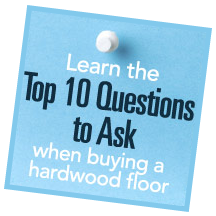 When considering purchasing a hardwood athletic floor, you must also consider the flooring grade. The grade of maple is purely aesthetic, and has no effect on play-ability. All manufacturers will confirm the quality of flooring will be the same whether you select First, Second & Better, or Third Grade maple. What are the differences between the grades of maple flooring? When considering purchasing a hardwood athletic floor, the grade of maple is very important. The most common choice is Second & Better Grade maple, and it is used in about 70% of hardwood gym floors.